Director Mrs. Matesina Willis envisions the American Samoa College Research Foundation (ASCRF) as evolving into an important resource to assist the American Samoa Community College (ASCC) in fulfilling its mission. Through networking and fundraising, the ASCRF intends to fund supplementary activities for ASCC such as additional scholarships and professional development initiatives. Currently, Mrs. Willis is guiding the Foundation through several organizational and legal requirements which pertain to organizations that will take in revenue for non-profit purposes. These pending technicalities include the selection a full ASCRF Board of Trustees, which must be finalized before the organization can begin its efforts on the scale Mrs. Willis is aiming for. As the club plans its calendar for this semester, Tupua said it will include working with the ASCC Alumni Association to present workshops she hopes will enhance the professional development of club members and other ASCC students. The club will also collaborate with the Community and Natural Resources Wellness Center on campus health awareness projects, and assist the Student Government Association with several planned projects. 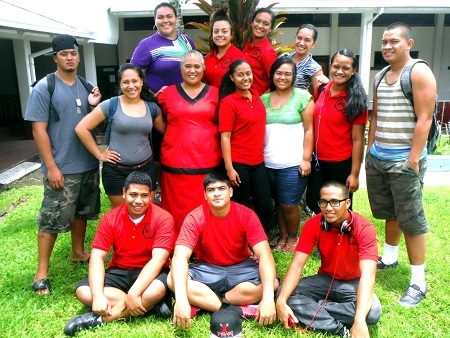 For more information on the American Samoa College Research Foundation and its Student Club, call 699-9155 and ask for Mrs. Matesina Willis at extension 301 or Mrs. Tiare Tupua at extension 401.